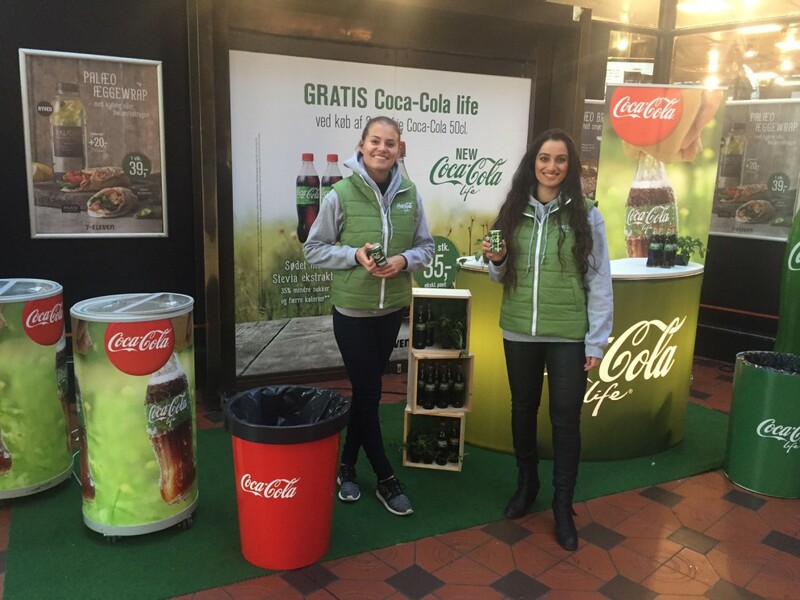 Location: Nørreport, Københavns Hovedbanegård, Odense Banegårdscenter, Aarhus Hovedbanegård, Ålborg Banegård. Koncept: We had the task of spreading awareness of the Coca-Cola variant “Coca-Cola Life” Which had just been launched. 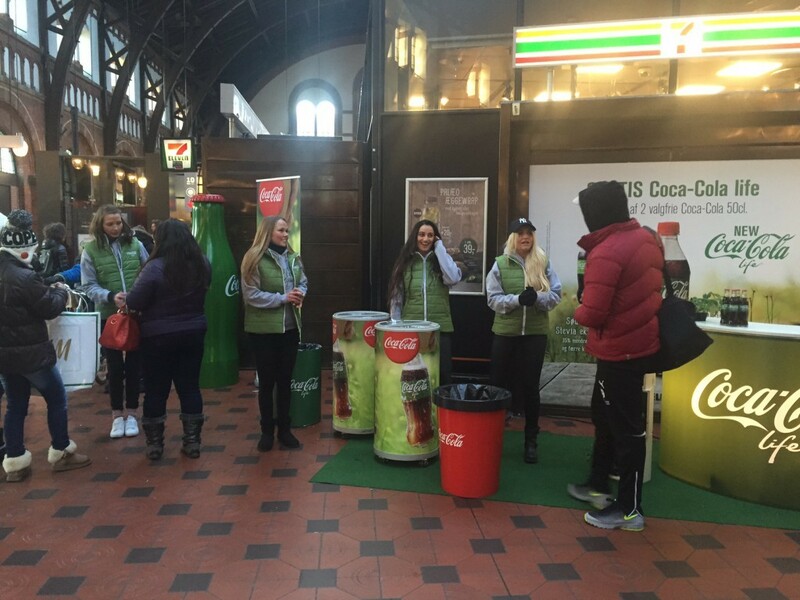 We visited 5 very populated areas and central venues where we set up a Coca-Cola Life stand where visitors could get a sample of the new product. 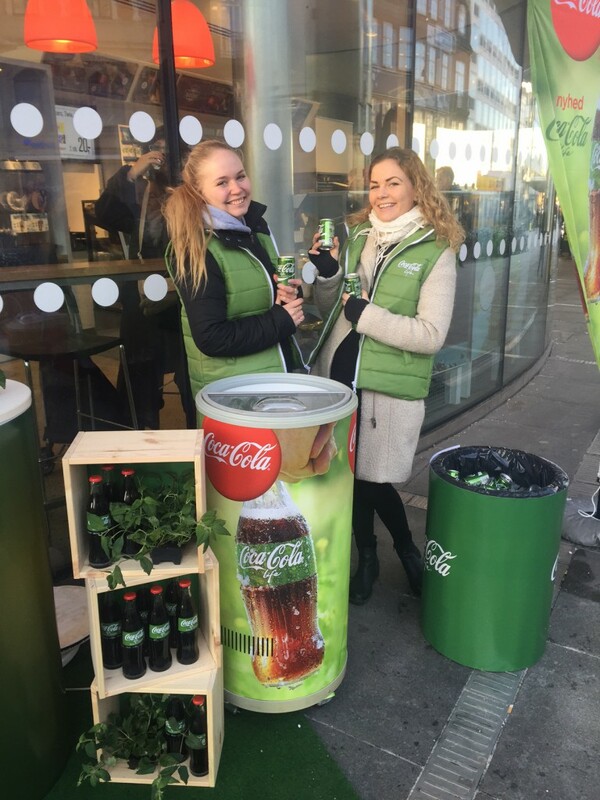 Other than giving away samples, we tried to spread awareness about the use of the Stevia-plant in Coca-Cola Life as an alternative to sugar and other sweeteners. Therefor we used props made out of materials like tree and we even brought a Stevia Plant with us. 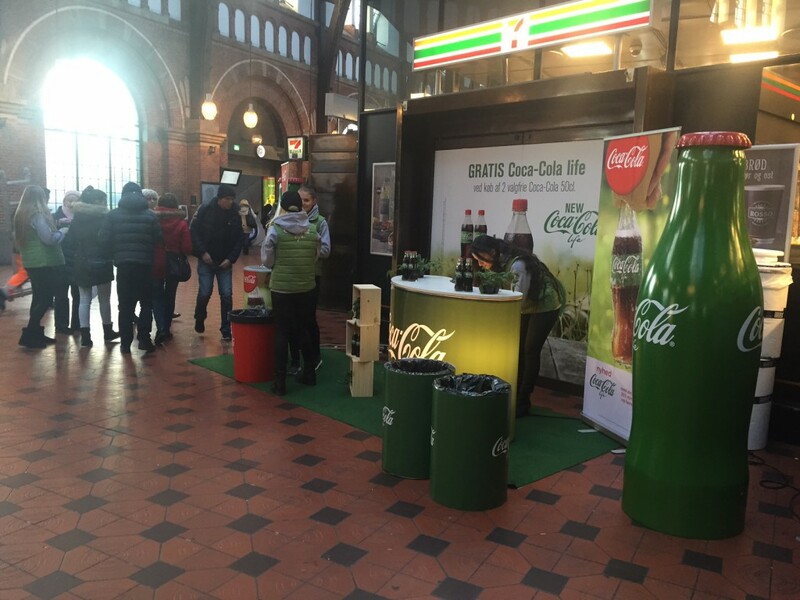 This gave visitors an understanding of what makes Coca-Cola Life special and worth trying.